Science, Sustainability And The Dangers Of Naïve Policy : 13.7: Cosmos And Culture Science should inform our decisions on what constitutes new dietary guidelines, but invoking science as an arbiter for questions of values isn't just misguided, it's dangerous, says Tania Lombrozo. 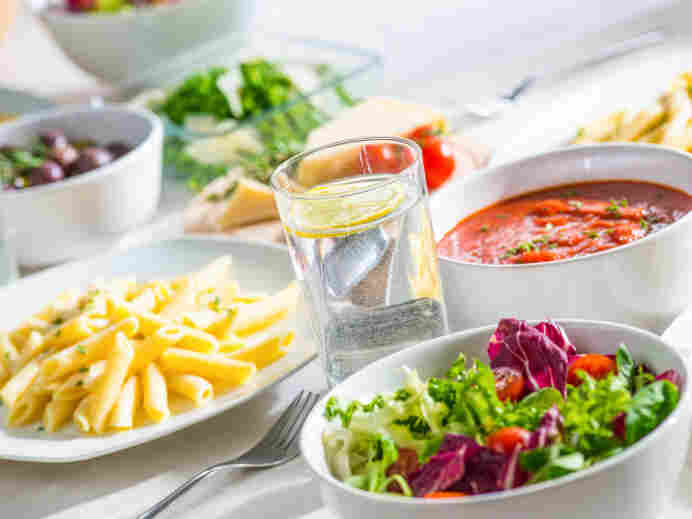 Every five years, the U.S. Department of Agriculture and the Department Health and Human Services convene an advisory committee to develop dietary guidelines based on the latest scientific and medical research. The 2015 Dietary Guidelines won't be released until later this year, but they're already generating debate. Last week, stakeholders clashed over whether the guidelines should focus on individuals' nutrition today, or additionally consider the environmental sustainability of different food choices, which potentially affect everyone's nutrition in the future. Many of those opposed to incorporating sustainability beseeched the committee to stick to the science. After the secretaries of agriculture and health and human services released a statement Tuesday dropping sustainability as a consideration for the 2015 guidelines, Missouri Congresswoman Vicky Hartzler said she was "very excited that the guidelines are going to be science-based and not include issues of sustainability." South Dakota Cattlemen's Association President Todd Wilkinson similarly insisted that the guidelines should be "based on sound science." This opposition of science and sustainability is truly bizarre. For one thing, concerns about sustainability are themselves grounded in science. To generate predictions about the future, we rely on our best scientific models of population growth, ecology and climate change. And to evaluate the impact of different food choices, a variety of economic and environmental considerations come into play. Evaluations of sustainability are no less "science-based" than research on human nutrition. But, more fundamentally, it's naïve to expect dietary guidelines — which offer guidance on how we ought to eat — to flow directly from science. A review of the scientific literature can tell us what we know about the consequences of saturated fat intake or the benefits of plant-based diets when it comes to avoiding certain chronic diseases. What it can't do, on its own, is translate that knowledge into guidance for living, which necessarily brings in particular values. Consider the purpose of the dietary guidelines, as stipulated at Health.gov: to promote health, prevent chronic disease and help people reach and maintain a healthy weight. These purposes reflect values, albeit relatively uncontroversial ones: That it is good to be healthy, bad to have chronic disease and good to maintain a healthy weight. But even such uncontroversial values can make the translation from science to policy complex. For instance: What if some dietary choices decrease the risk of obesity, but increase the risk of some chronic diseases? Should we focus on the proximal impact of people's food choices for their individual health, or should we take a longer-term or population-level perspective, one that could introduce considerations of sustainability? And for those of us making everyday food choices, how do these values trade off against the pedestrian but powerful considerations of taste and convenience? Answering these questions requires a close look at what we learn from science, but it also requires us to identify and prioritize our values. Science can (and should) inform our decisions, but you can't read off policy from science. Invoking science as an arbiter for questions of values isn't just misguided, it's dangerous — it fails to recognize what science can (and can't) provide and it fails to make room for the conversations we should be having: conversations about the kinds of lives we ought to live, the obligations we have to each other, to future humans and to other animals, and — among other things — what that means for the food choices we make every day.